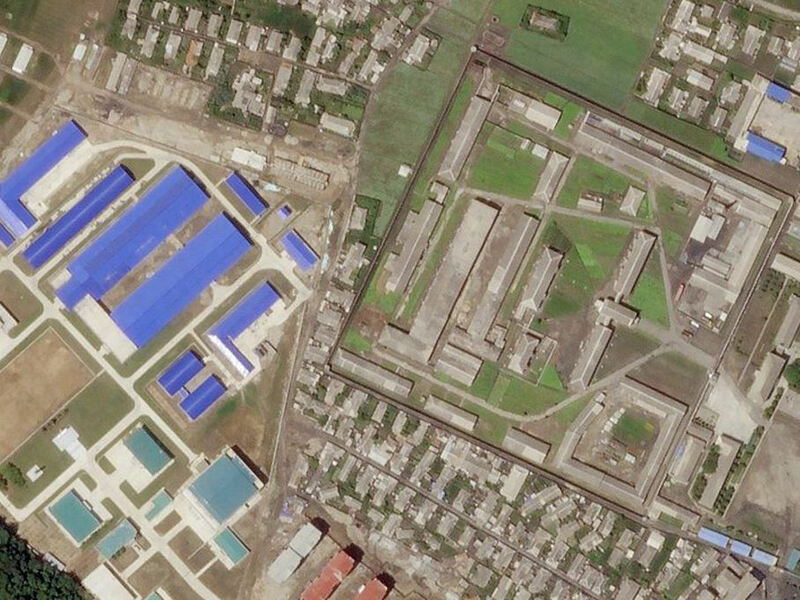 Hamhung is North Korea's second largest city with a population of about 800,000. In spite of its size and importance, this industrial city located near the east coast of the DPRK was only opened to tourists recently, which explains why the view of a foreigner can cause even more of a surprise than in other parts of the country. 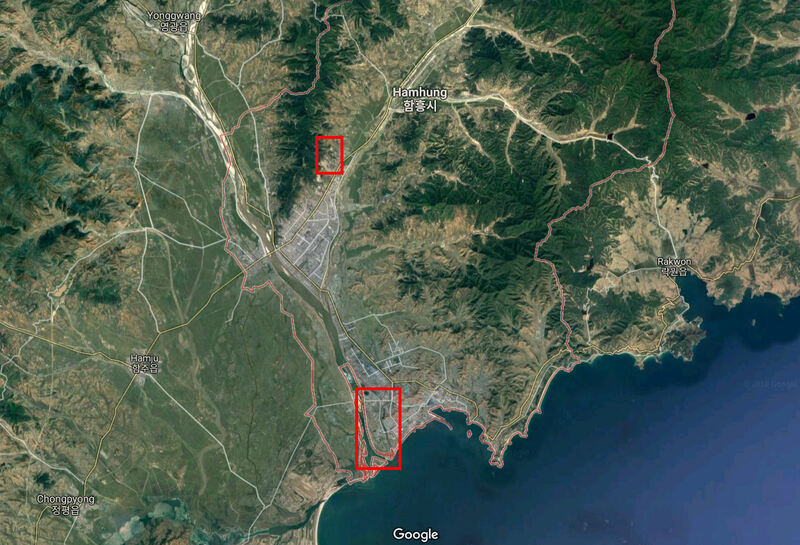 While near the center of the eastern coastline, it cannot dominate this eastern half of North Korea in the same way that P'yongyang has for most of the western coastal areas. 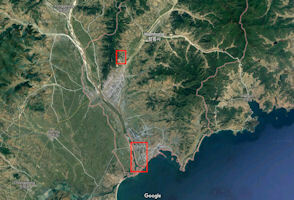 Hamhung's influence is geographically confined to an area roughly 100 kilometers from its center, but mostly concentrated along the coastline. Hamhung is a vital port city that can easily extend its reach into the Sea of Japan and influence economic or military situations in this area. Hamhung's major limitation stems from its lack of overland connectivity and access to the western half of the country. The city was heavily destroyed (80–90%) during the Korean War. From 1955–1962, Hamhung was the object of a large-scale program of reconstruction and development by East Germany including the build-up of various construction-related industries and intense training measures for Korean construction workers, engineers, city planners and architects. Hamhung Grand Theatre was opened in 1984. The building is said to contain around 800 rooms and its main hall hosts various cultural performances. It is the largest theatre building in the country. The Midterm Report of the Panel of Experts Submitted Pursuant to Resolution 2345 noted 17 September 2017 that "The combination of solid fuel and tracked TEL will allow the country to operate this system both rapidly and across various types of terrain. The Pukguksong-1 and -2 show the ascendancy of solid-fuel engines in the modernization of the country’s ballistic missile forces. 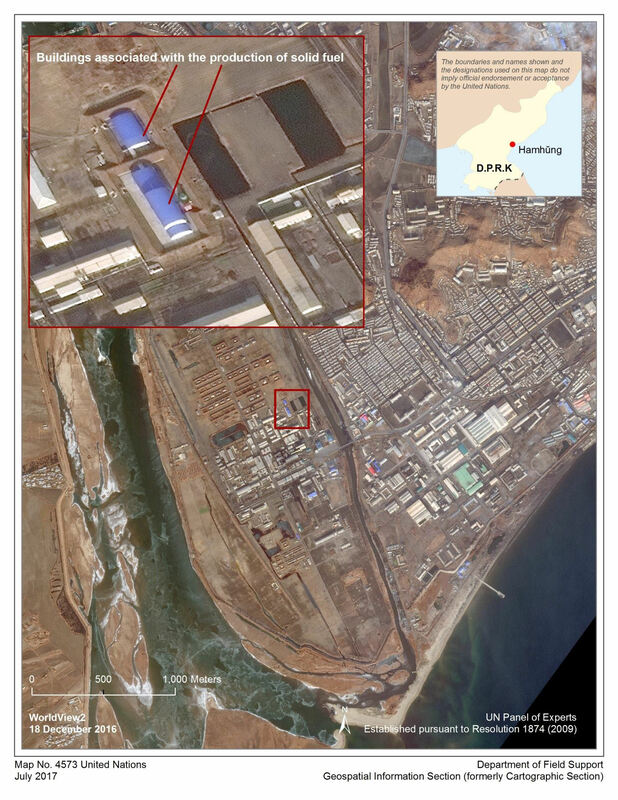 This is also reinforced by the modifications and constructions experienced by an industrial area near the solid -fuel engine test site of Hamhung which could be linked to a solid-fuel production plant". 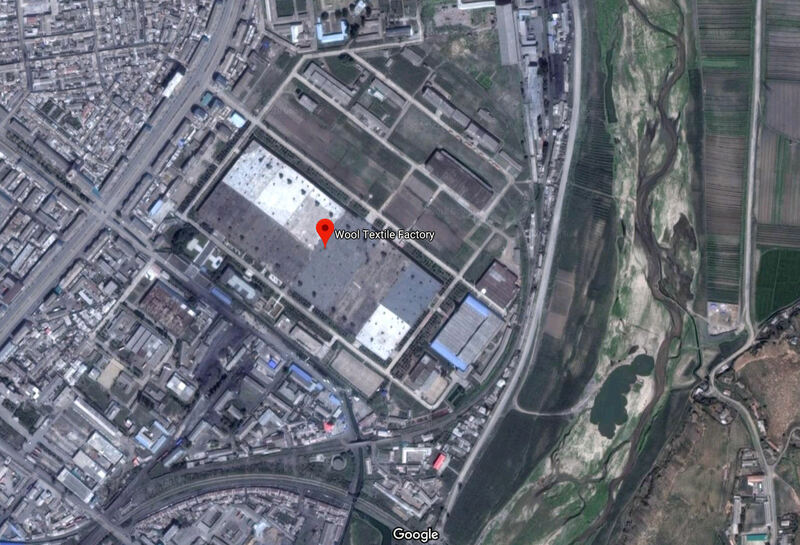 Hamhung, a center of the DPRK's synthetic fiber indusstry, is an obvious choice for development of solid propellant ballistic missiles, which require filament wound cases. There are no obvious indicators, functionally related observable differences, or interpretation keys, that would associate these buildings with solid missile development activities. The collateral sources of information which allowed analysts to discern the nature of the activities at this location remain opaque. 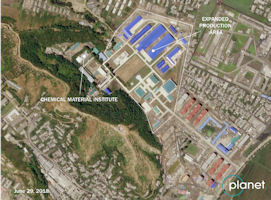 North Korea continued to develop a rocket-engine facility prior to the historic summit between U.S. President Donald Trump and North Korea leader Kim Jong Un, Bloomberg reported 02 July 2018, based on newly revealed satellite images examined by the James Martin Center for Nonproliferation Studies at the Middlebury Institute of International Studies. 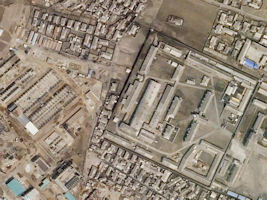 The factory shown in the images produces wound-filament airframes and nozzles for engines used in solid-fuel missiles, the report by the Middlebury Institute said. 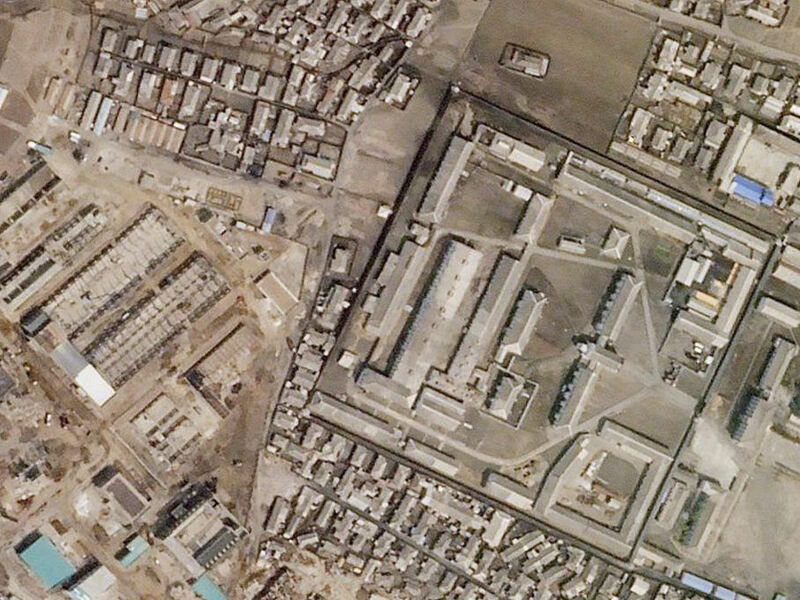 The Middlebury report, penned by David Schmerler and Jeffrey Lewis, also revealed that the North Korean factory in question also manufactures other missile components, including re-entry vehicles for warheads that could be used on missiles capable of reaching the United States. 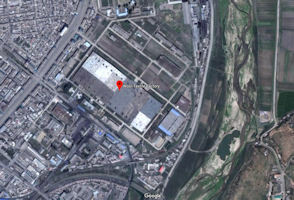 The expansion of the factory, which was initially reported by the Wall Street Journal, was the latest in a series of revelations that undercut Trump's claim that the North Korean threat has been removed. The Korean Central News Agency said Kim gave field guidance to the Chemical Material Institute of the Academy of Defense Science without specifying the date of the inspection. Usually news about the top leader is reported one day after it takes place by DPRK official media. "He noted that in recent years the institute has a lot of jobs in a patriotic drive for breaking through the cutting edge true to the Workers' Party of Korea's policy of attaching importance to the defense science and technology and policy of the munitions industry," said the report. 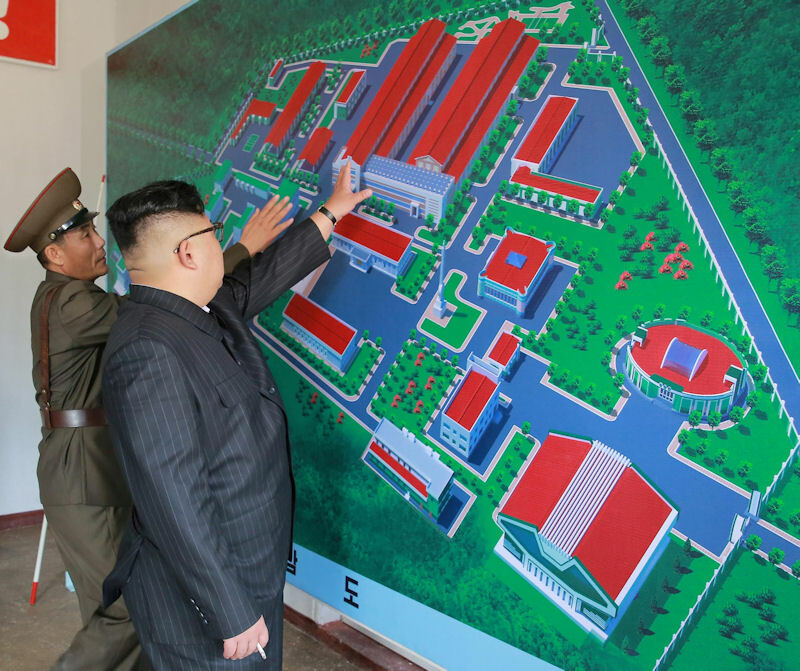 Kim was briefed about the process of manufacturing intercontinental ballistic missile (ICBM) warhead tips and solid-fuel rocket engines during his tour of the Chemical Material Institute of the Academy of Defence Science, KCNA said 23 August 2017. “He instructed the institute to produce more solid-fuel rocket engines and rocket warhead tips by further expanding engine production process and the production capacity of rocket warhead tips and engine jets by carbon/carbon compound material,” KCNA said. At the time, David Schmerler used other images from Kim’s visit to locate the Chemical Material Institute, which is north of Hamhung: 39.957300° 127.556200° During Kim’s visit, he also posed in front a large image showing an artist’s conception of the planned expansion of the facility. A synthetic fiber production base was established in the first seven-year plan period (1961 ~ 1967) and the first Vitallon factory was built in Hamheung district in 1961. However, development of the textile industry was extremely limited due to North Korea 's economic defense burden and heavy industrial policy. North Korea is making great efforts to produce chemical fibers to compensate for the shortage of natural fibers. In the 1950s, viscose rayon and polyvinyl alcohol (PVA) vitilon were produced. In the 1970s, acrylics were produced. In the 1980s, Mobilrone was produced with its own technology. Therefore, more than 80% of fiber production is chemical fiber. It is called 'Juche Textile' and it is used as the main raw material of the textile industry. The February 8th Vinalon Factory on North Korea's east coast produces a stiff, dye-resistant, virtually unusable textile invented by a local scientist and touted by Pyongyang as superior to nylon. 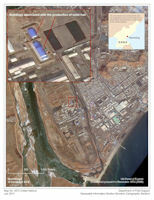 The 2.8 Vinalon Union Enterprise is a leading chemical plant in North Korea's organic chemical industry. It is a large-scale chemical plant that produces more than 420 chemical products such as caustic soda, fertilizer, pesticides, dyes and vinyl chloride. Modernization work began in August 2007 and completed in March 2010. The production capacities of each product are as follows: Vitalon 50,000 ton, Mobilon 10,000 ton (produced at Hamhung Mobilon factory, which is estimated to be a mining plant), 53,000 tons of vinyl chloride, 50,000 tons of ammonia, 344,000 tons of carbide, 100,000 tons of caustic soda, 300,000 tons of hydrochloric acid and chlorine, 100,000 tons of other fertilizer and 20,000 tons of pesticide. On 09 February 2010, General Secretary Kim Jong Il visited again the February 8 Vinalon Complex put on modern lines and watched vinalon cotton being churned out in an endless stream. He watched varieties of vinalon products including vinalon cotton piled up in stacks in the vinalon band fiber packing ground. Taking vinalon cotton in his hand and looking at it again and again for a long while, he said vinalon cotton is excellent raw material for textiles as it is as good as cotton and wool. He noted that the laudable successes made by the officials, workers and technicians of the complex clearly proved that the mental power of the Korean people equipped with the spirit of single-minded unity, the strong spirit of national dignity, the spirit of self-reliance, warm love for the future and the spirit of devotion serve as a motive force to win all victories and the master key to them. The workers of the complex have built the modern vinalon factory based on the latest science and technology by their own efforts and with their own technology and made a decisive breakthrough towards settling the issue of clothing, thereby making it possible to preserve and glorify the leadership feats of the President, the founder and pioneer of the vinalon industry, he said. He highly appreciated their shining feats once again and extended special and deepest thanks to them. 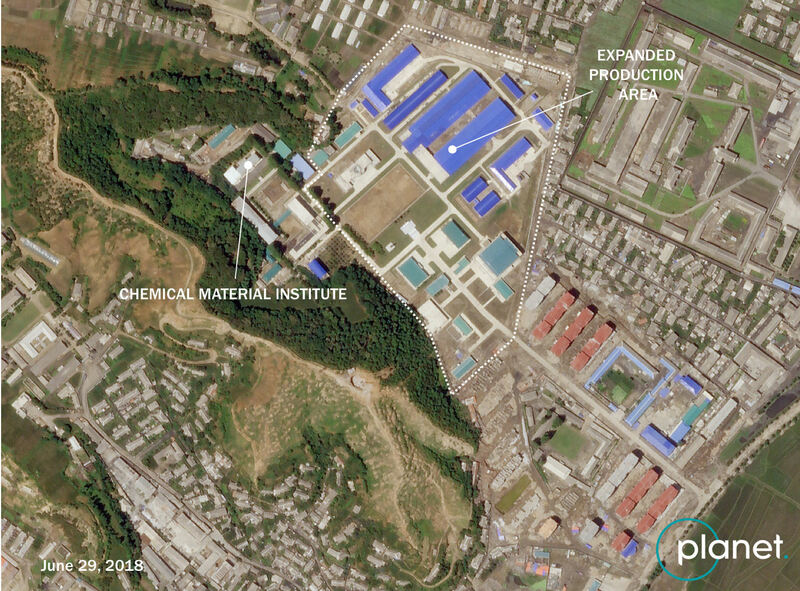 North Korea has at least eight industrial facilities that can produce chemical agents; however, the production rate and types of munitions are uncertain. 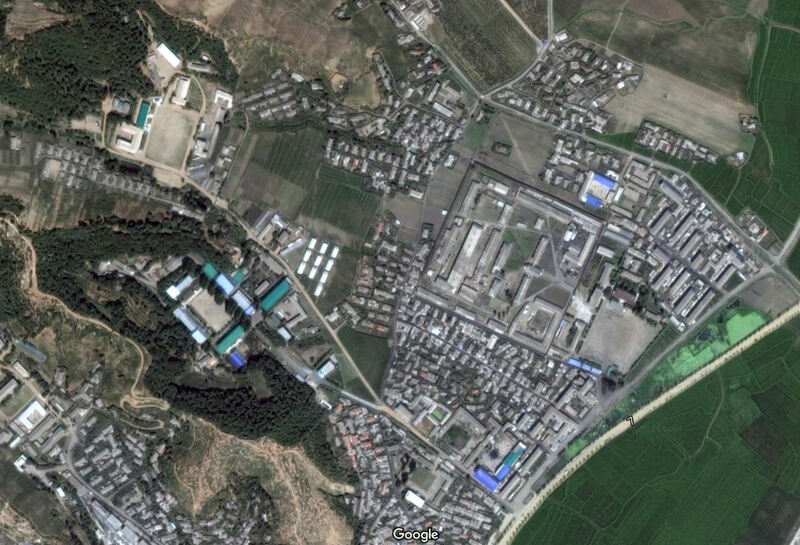 Presumably one or more of the agents [sarin, tabun, phosgene, adamsite, prussic acid and a family of mustard gases] comprising the basis of North Korean chemical weapons are produced at the February 8th Vinalon Complex, probably blister and nerve agent precursors. A pesticide plant in Hamhung started operating in September, 1989. North Korea claims it produces non-poisonous, good quality pesticides. Its products include (chlorochanol), DM chloride, and simazine, materials that can be diverted for making chemical weapons. 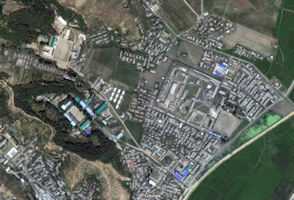 The Academy of Defense Science [Hamhung Branch] is one of at least four chemical weapons research and development facilities, and there is speculation that the University of Chemical Industry [formerly the Hamhung University of Chemical Industry] may have some connection with chemical technology associated with the North Korean nuclear weapons program.